Oooh, I didn't know Uggs could be monogrammed, I love that idea! ohh i need monogrammed uggs. 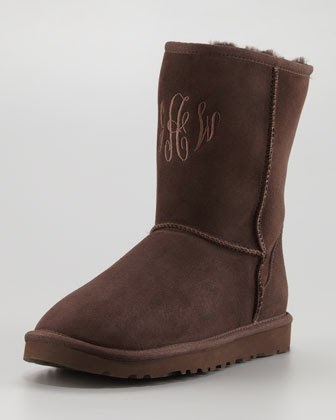 i didn't even know they existed but now i feel like i cannot keep wearing my uggs without them being monogrammed lololol! !